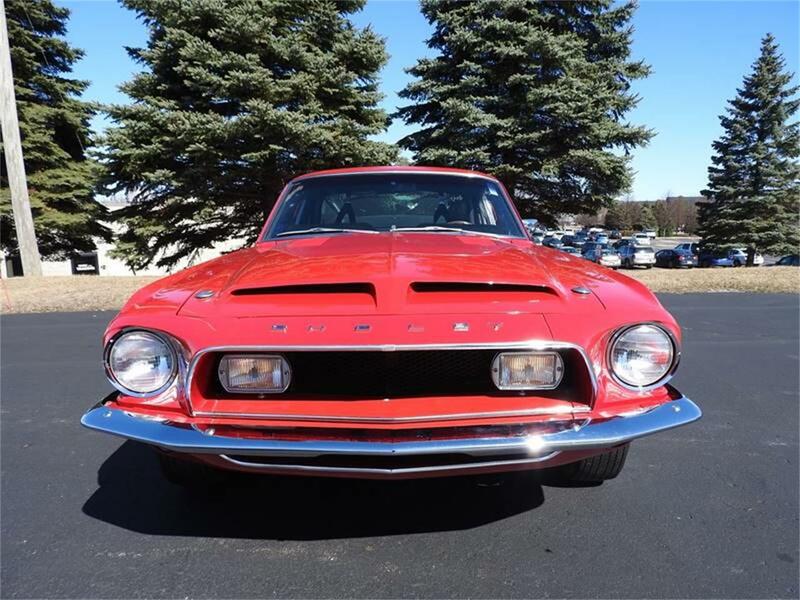 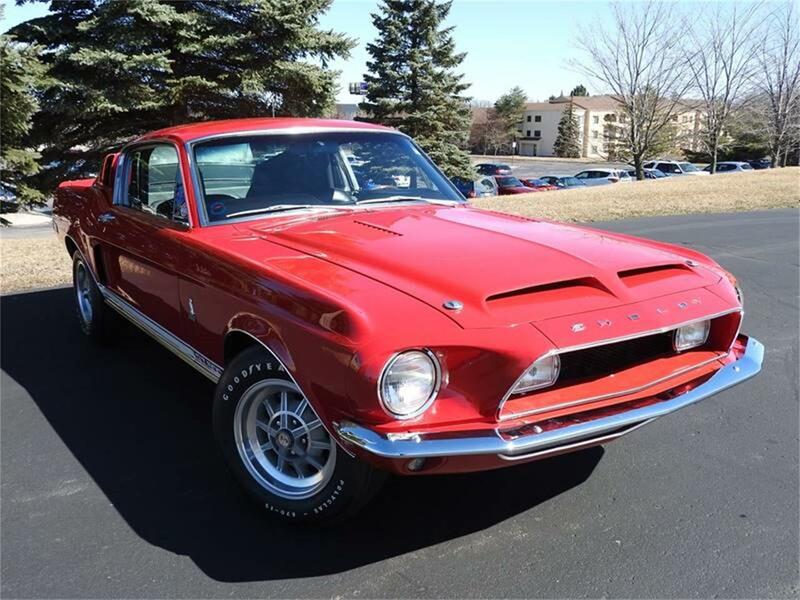 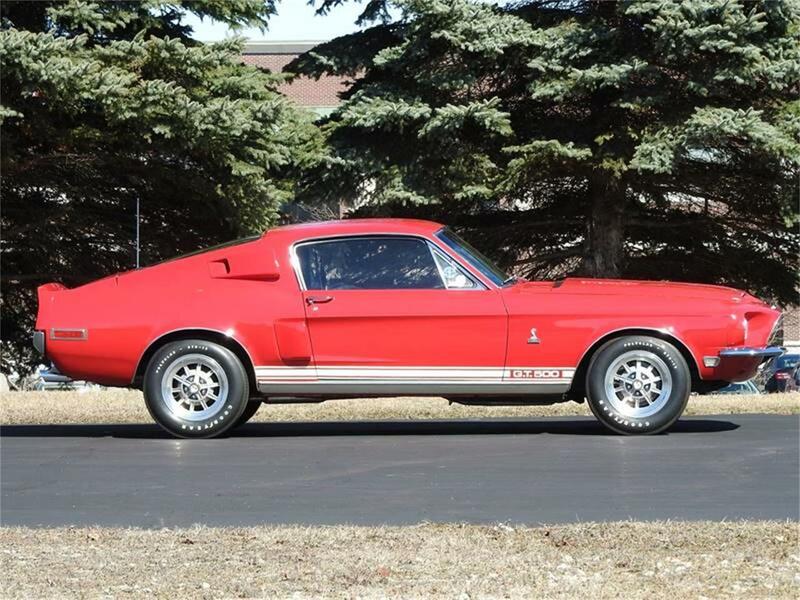 1968 Shelby Cobra GT500 Fastback This incredibly original and authentic example is one of only 1140 Fastback GT500s produced. 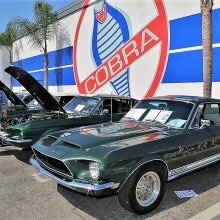 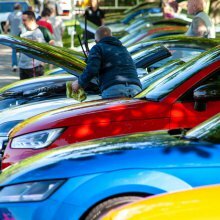 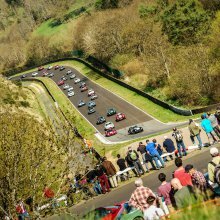 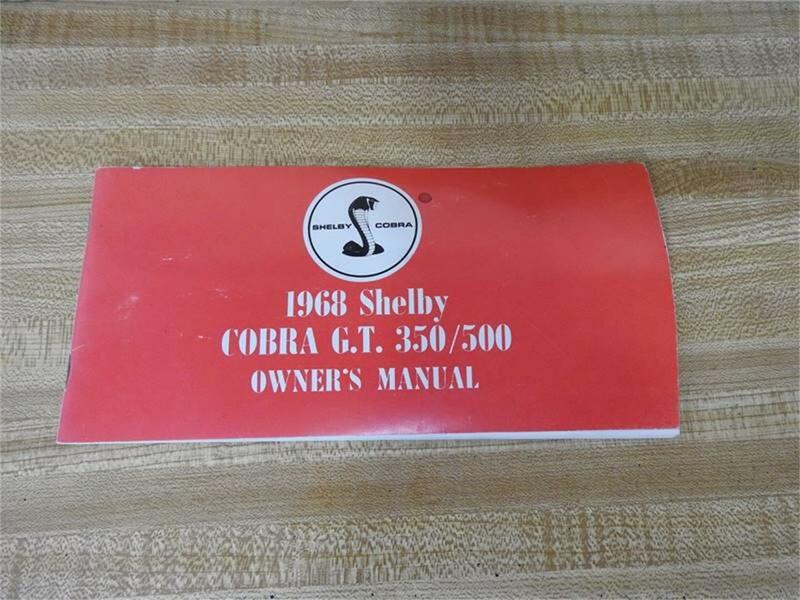 Its fully documented with the Shelby Order Form, Shelby Invoice, Window Sticker, Marti Report and Shelby Registery from SAAC. 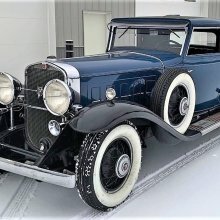 It has had only 3 owners from new and they are all known. 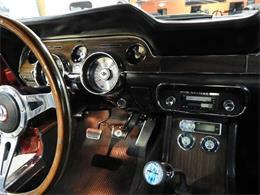 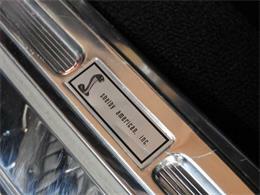 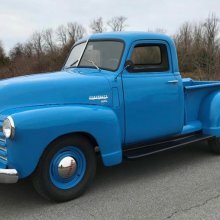 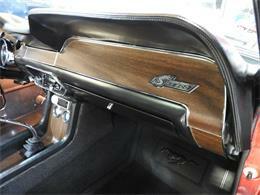 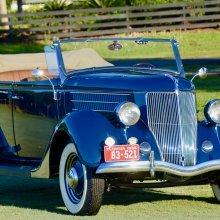 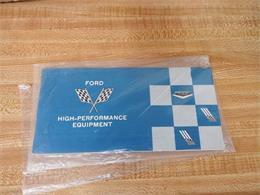 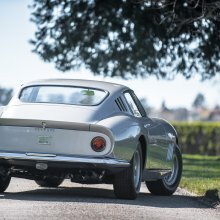 The car was delivered new in Maitland, Florida and has been fastidiously cared for throughout its life. 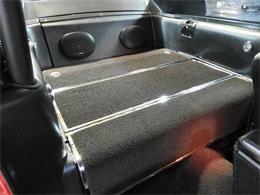 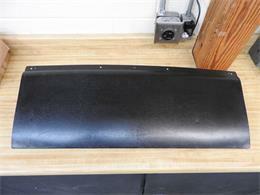 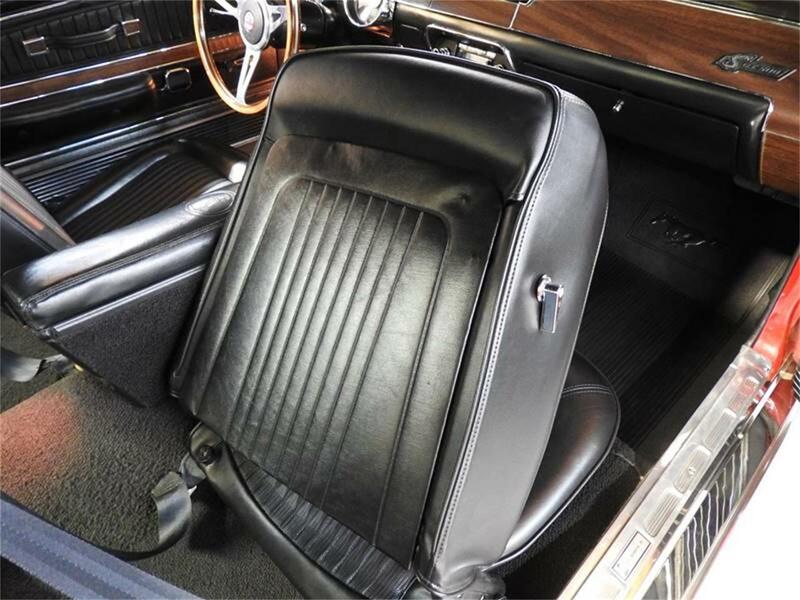 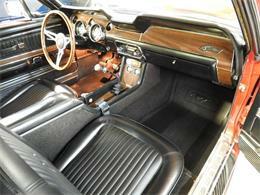 The quality of this example is clearly evident by the presence of its original body panels and floors. The car is very well equipped with the following features and options: 428-4V Cobra Jet Engine, Date Coded 9C7 (March 7, 1969) 42,037 miles Candy Apple Red Black Knitted D�cor Bucket Seats 3.50 rear Axle Four-Speed wide Ratio Transmission Power Disc Brakes Power Steering Shoulder Harness Fold Down read seat Tilt-Pop Steering Wheel Extra Cooling package Deluxe Interior W/ Center Console Gauge Package Competition Handing Package Tinted Glass Aluminum 10-Spoke Wheels The car presents beautifully in its original Candy Apple Red exterior with White stripe and Black interior. 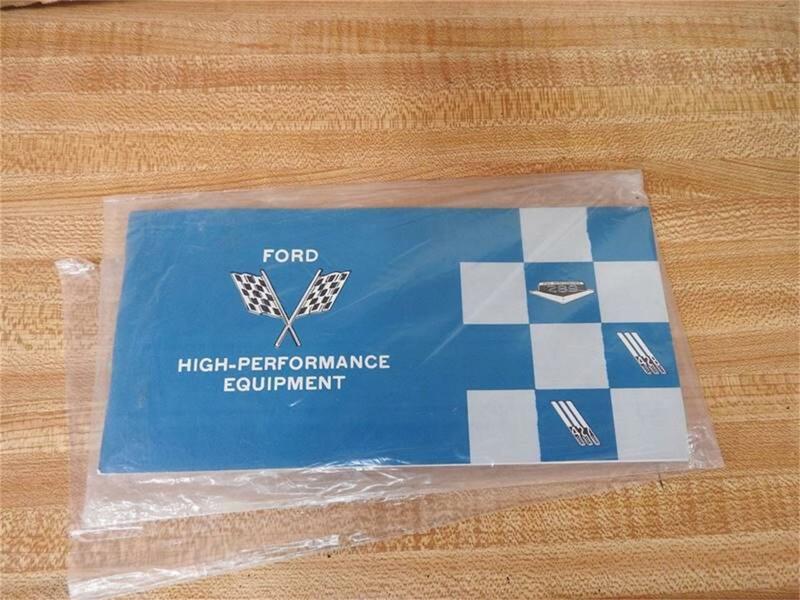 These are its original colors. 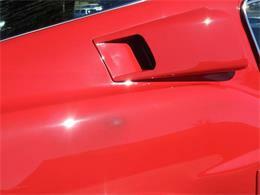 The paint was refreshed in the 1990s and remains excellent with very minor blemishes from age and careful use. There is an isolated area on the rear passenger quarter panel that has been rubbed thin. 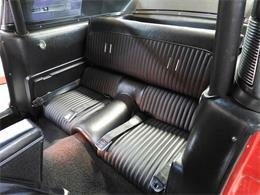 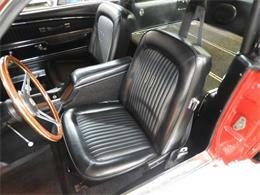 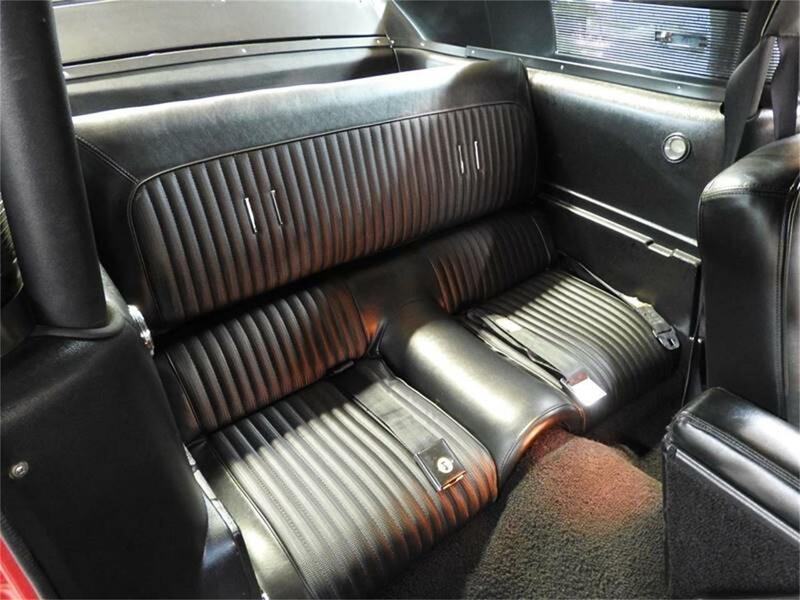 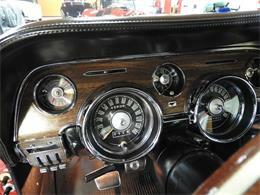 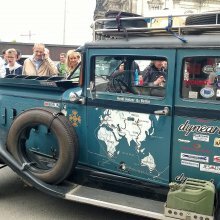 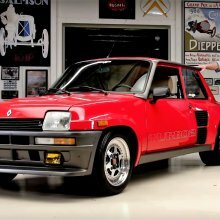 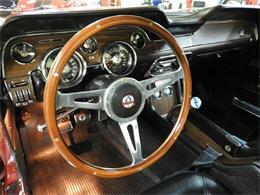 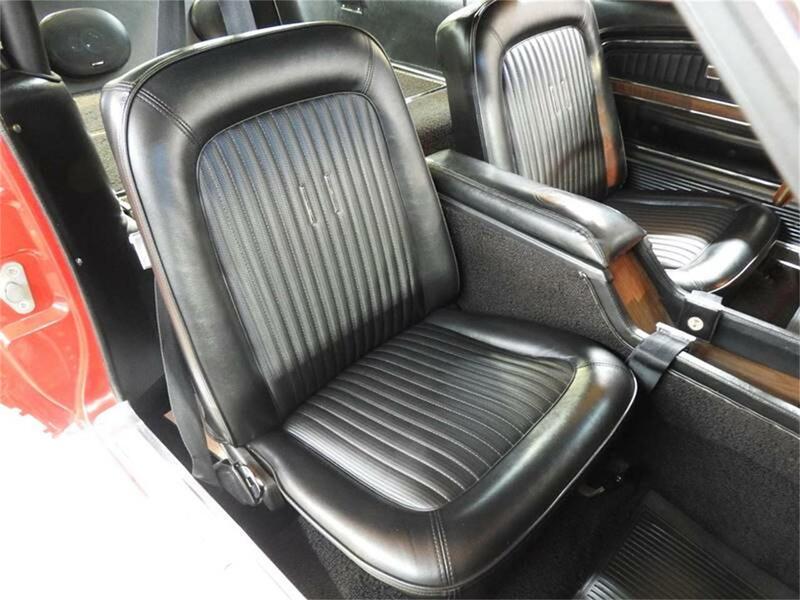 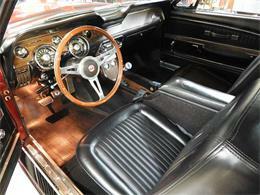 The interior is in its original colors and configuration and its in excellent condition. 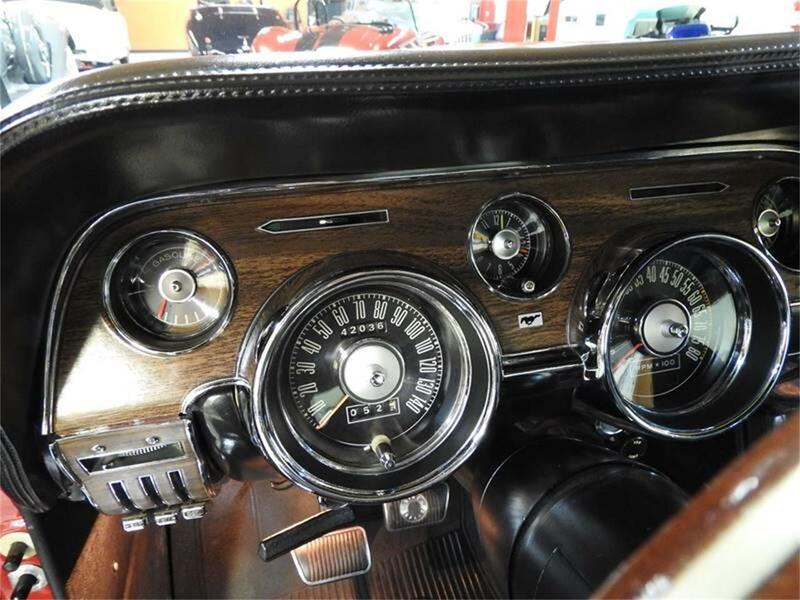 The mileage as shown is 42,037. 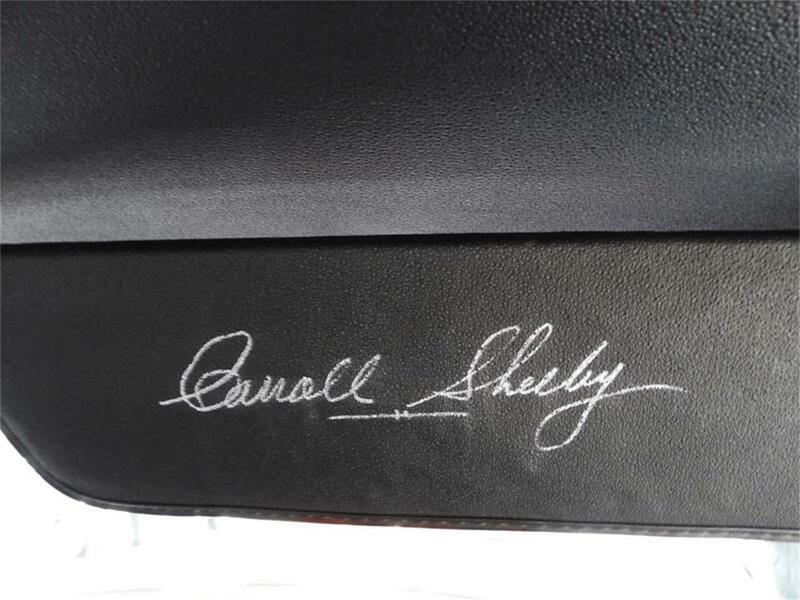 While we have no way to certify this as original, the previous owner believes it to be accurate. 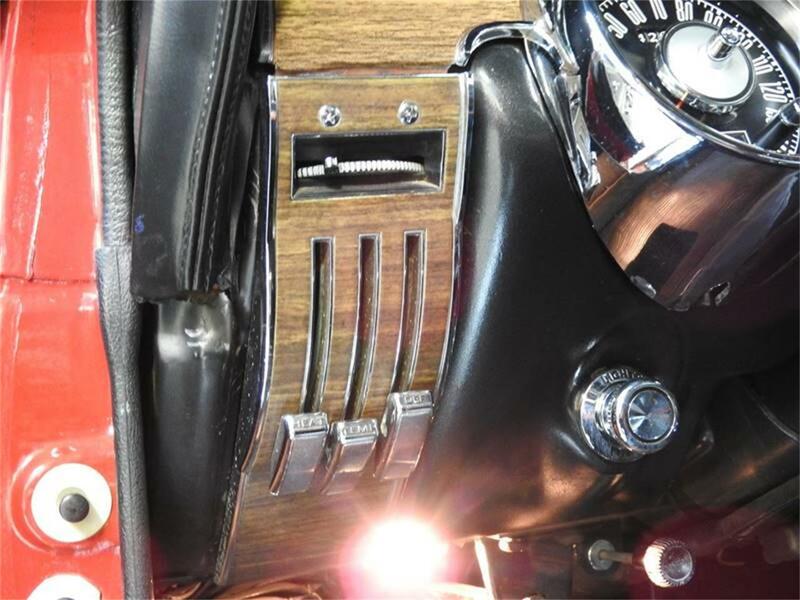 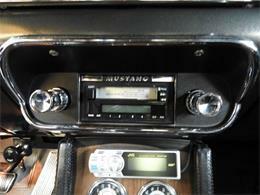 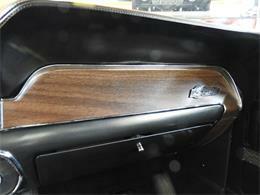 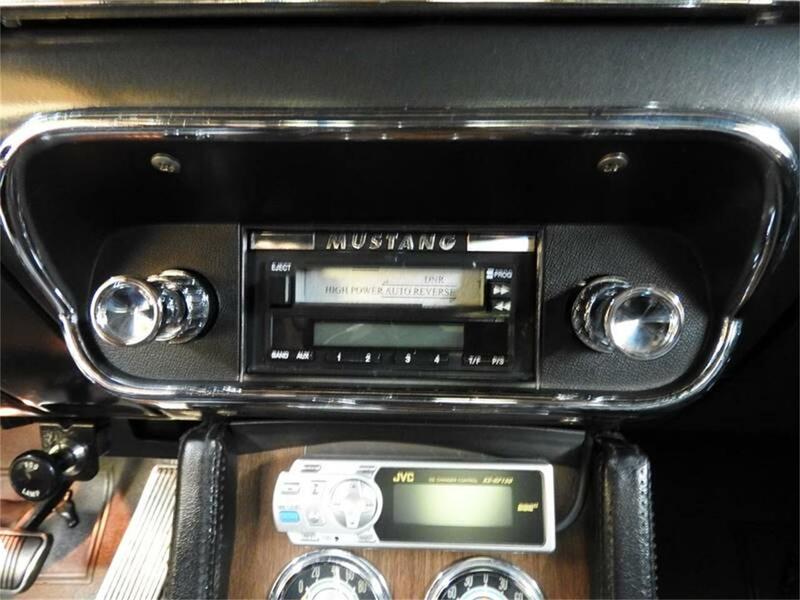 The original AM radio was removed from the car. 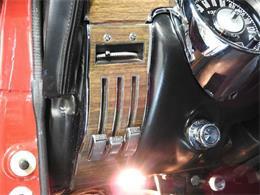 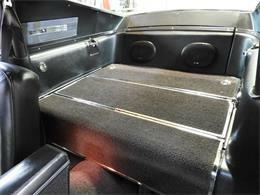 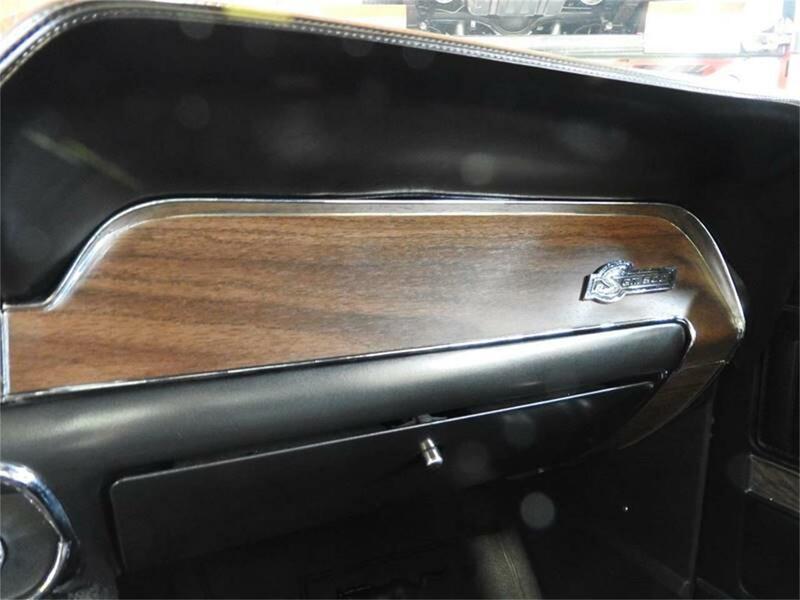 It was replaced with a modern unit, remote CD changer and upgraded speakers.The original, uncut rear interior panel is included with the car. 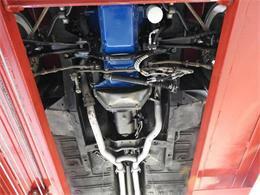 The engine compartment looks amazing. 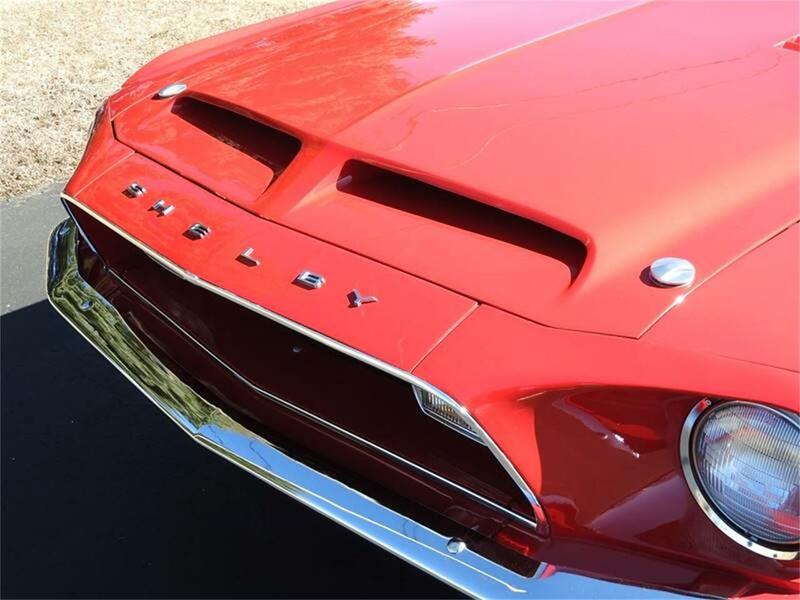 The engine paint and finishes are excellent. 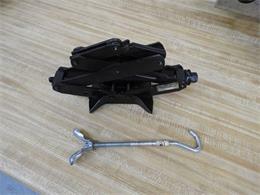 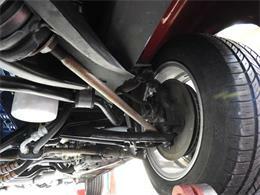 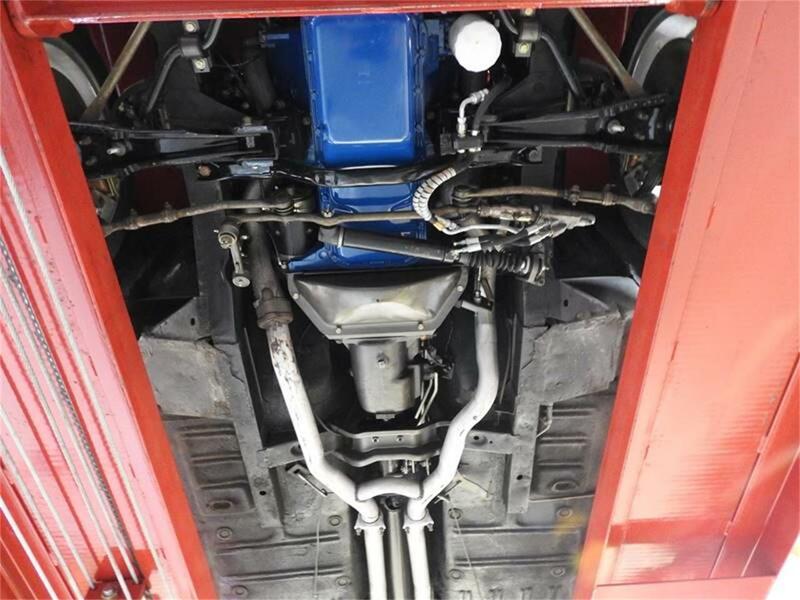 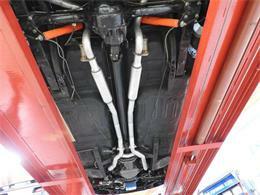 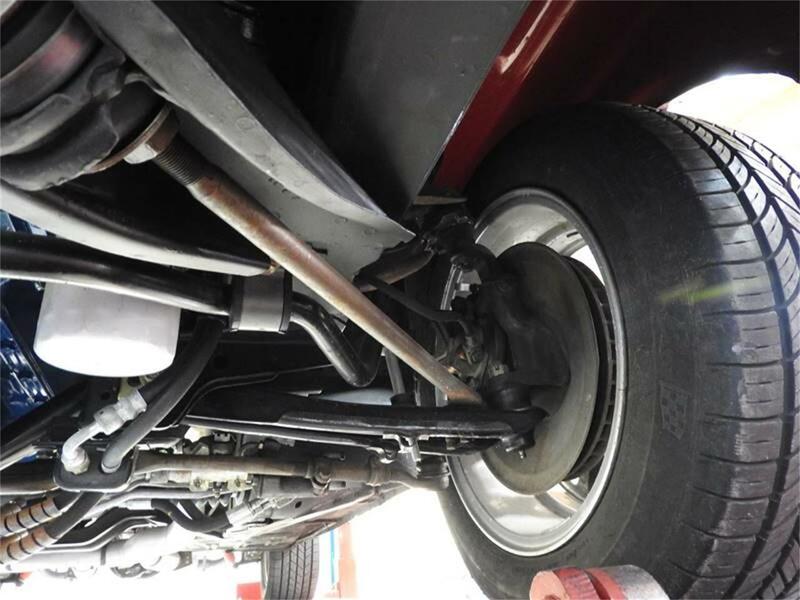 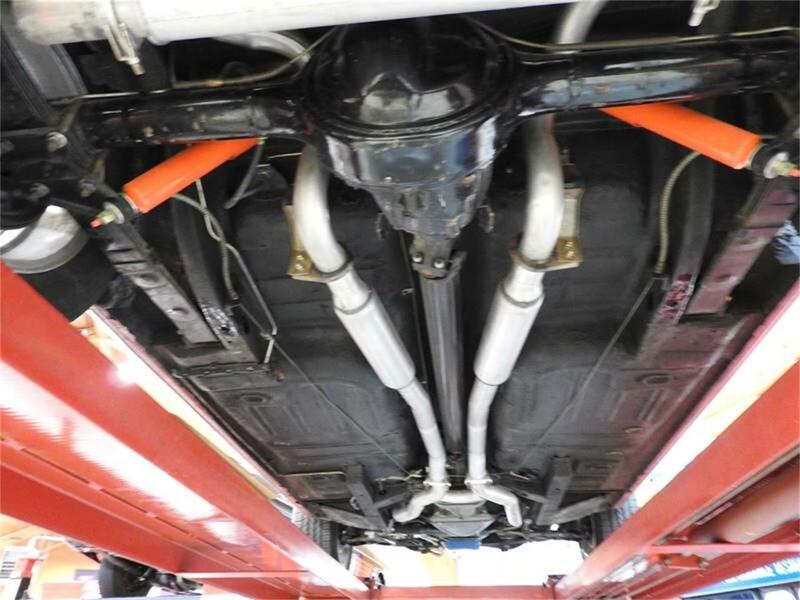 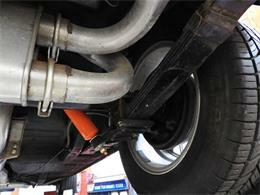 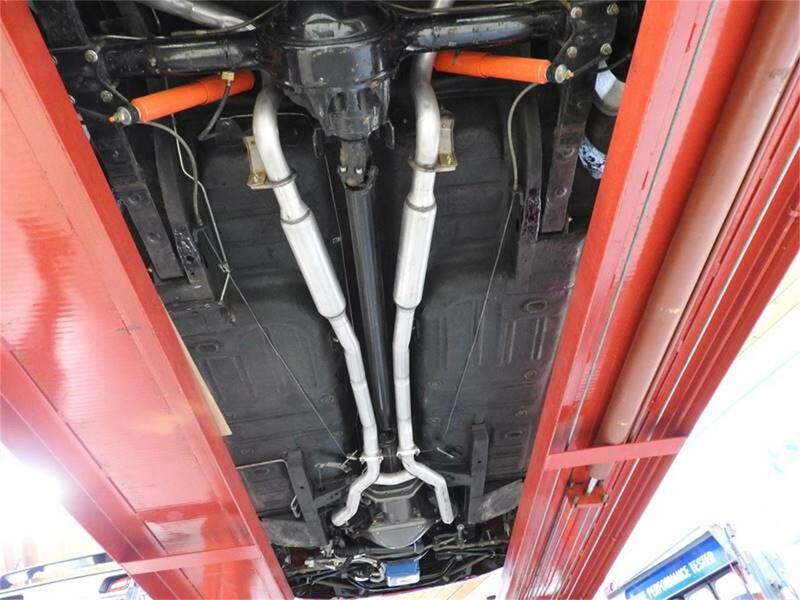 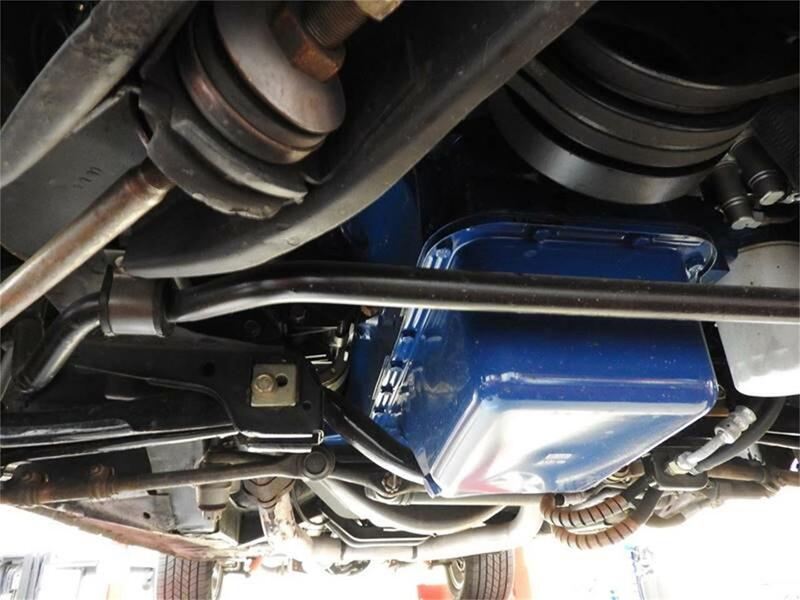 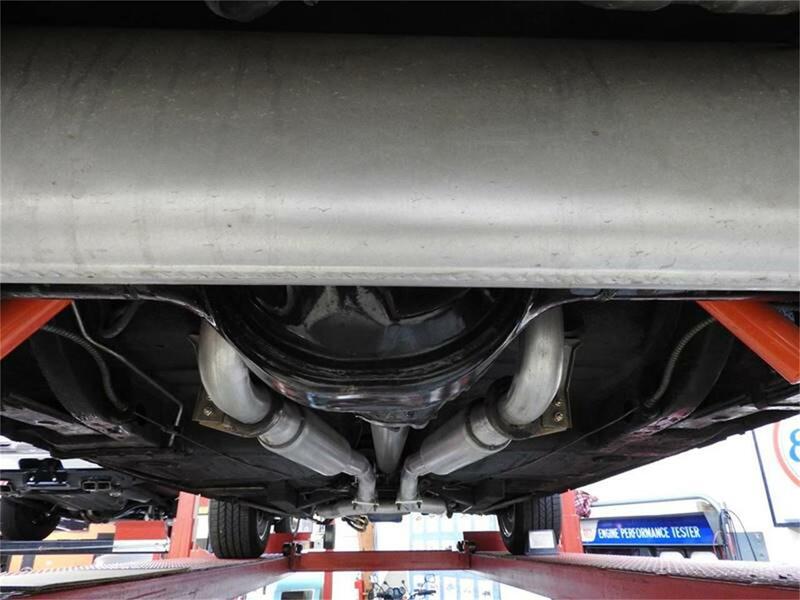 The undercarriage looks great with clean, corrosion free suspension and undercoated floors. 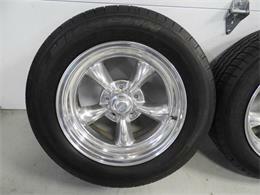 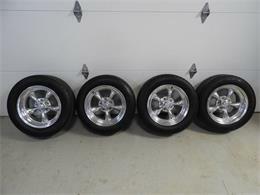 The aluminum 10 spoke wheels look great and they are wrapped in Goodyear polyglas tires. There is also a spare set of Torque Thrust style American Racing wheels and Radial tires that are included with the sale. 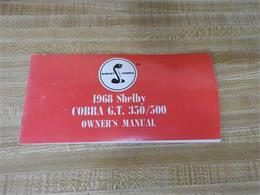 In addition, the car has a set of owners manual books in the glove compartment. 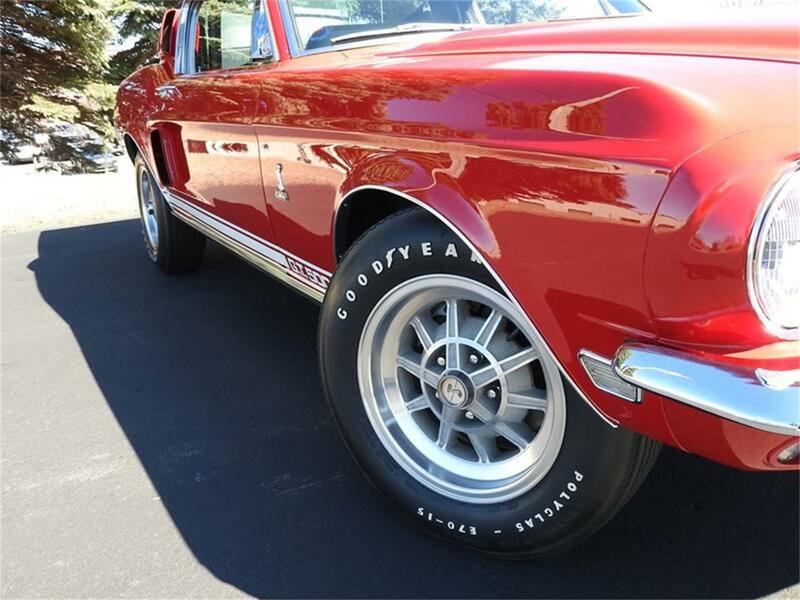 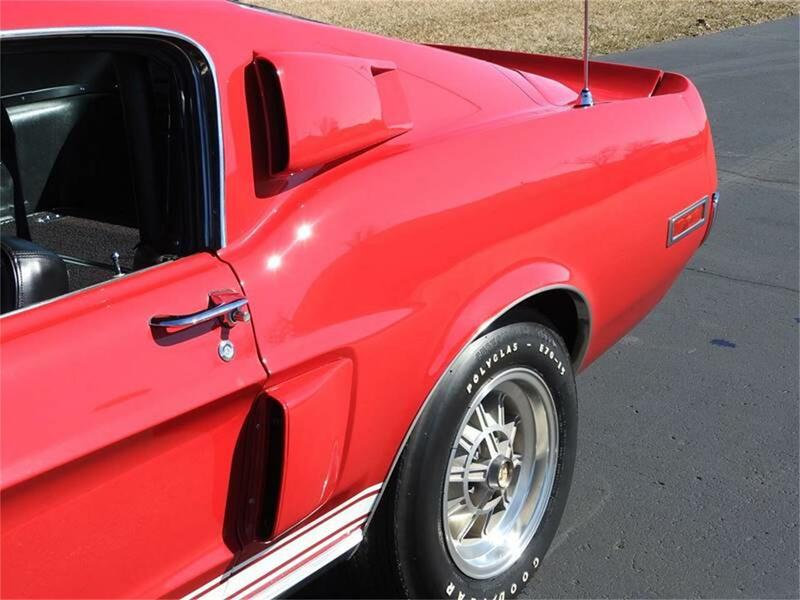 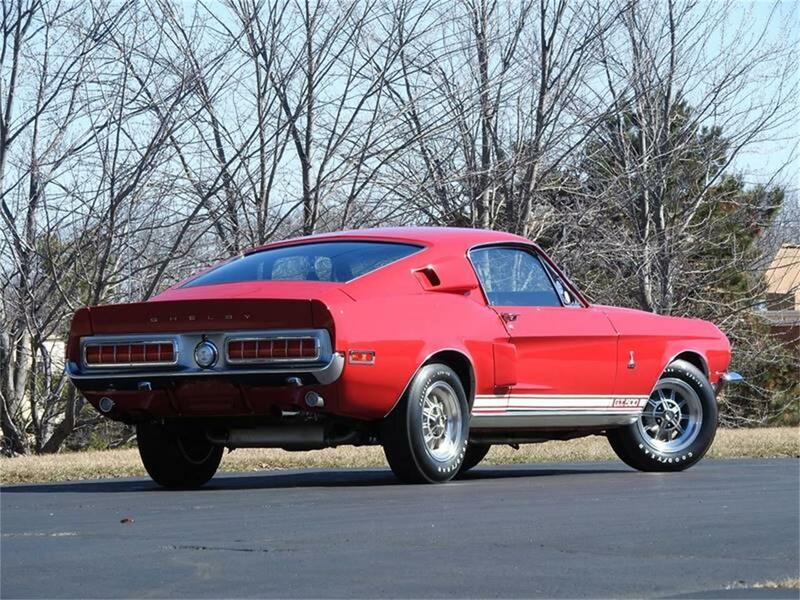 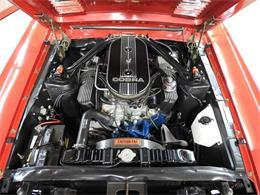 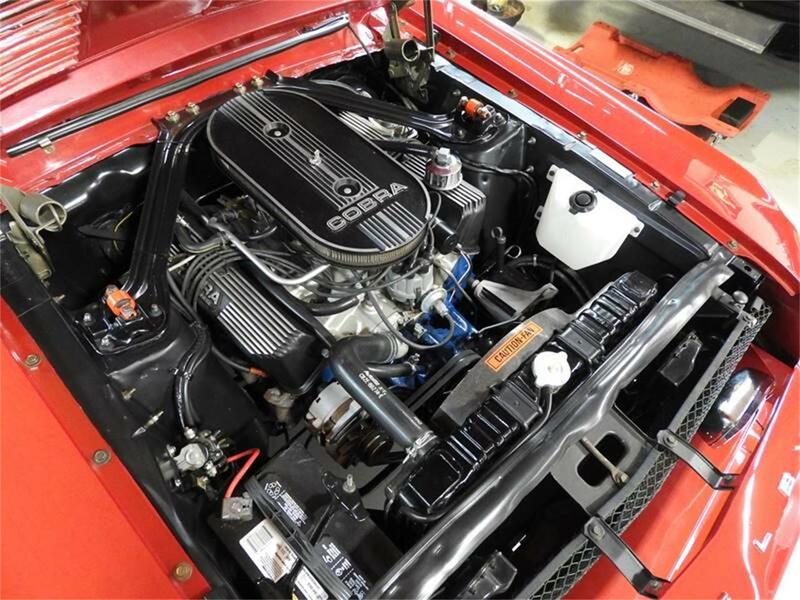 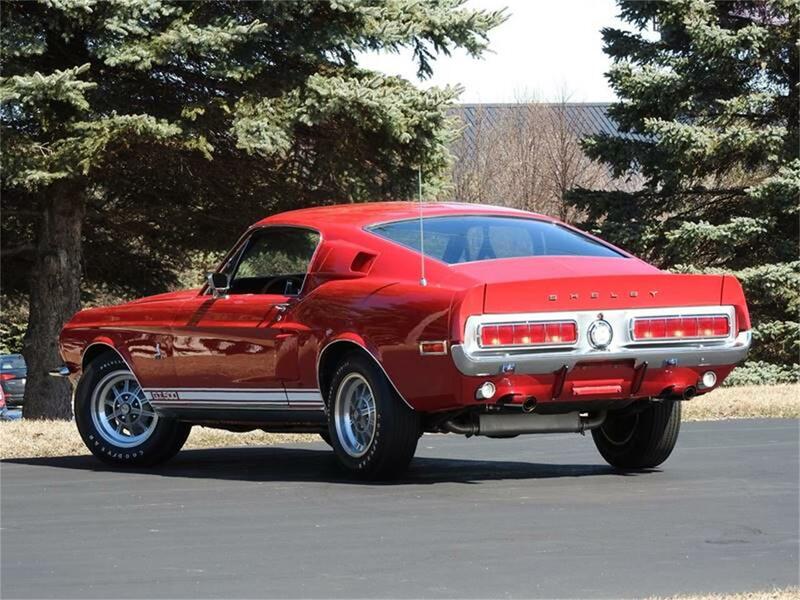 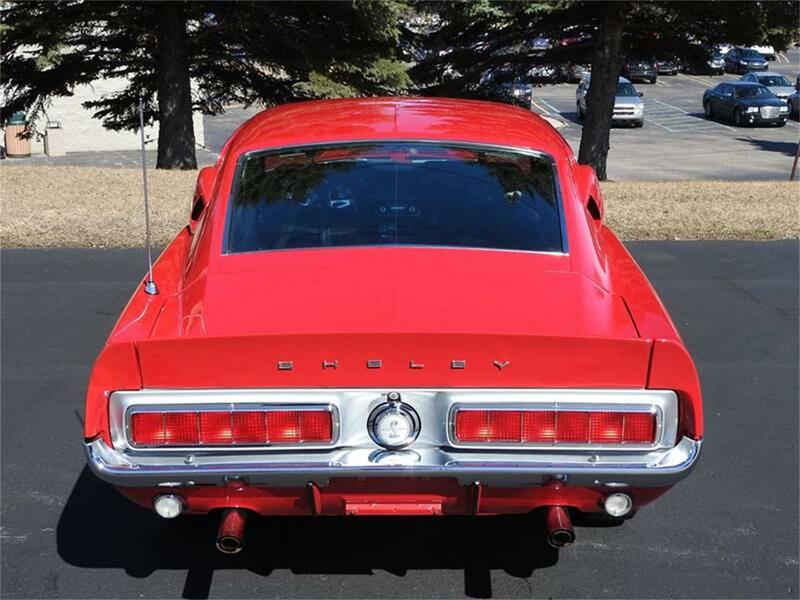 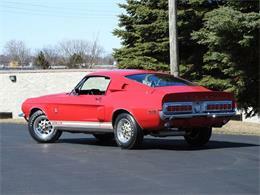 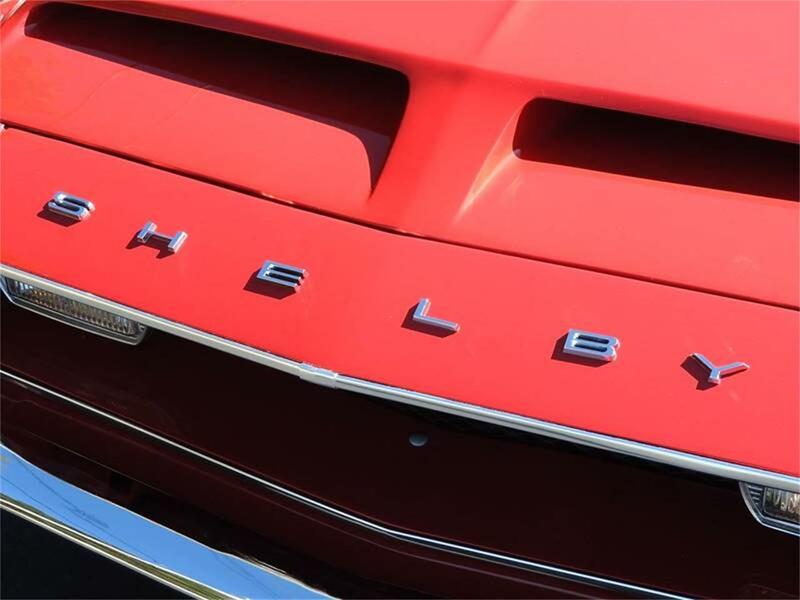 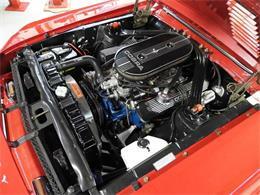 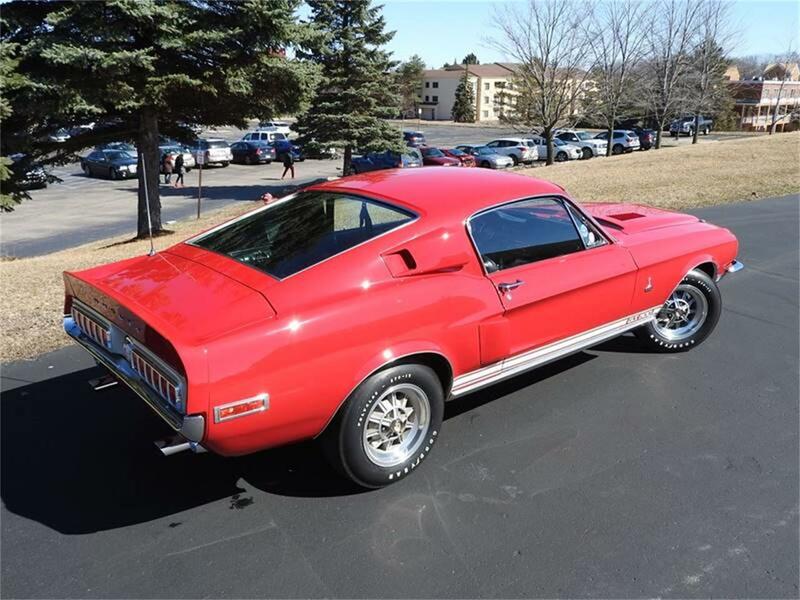 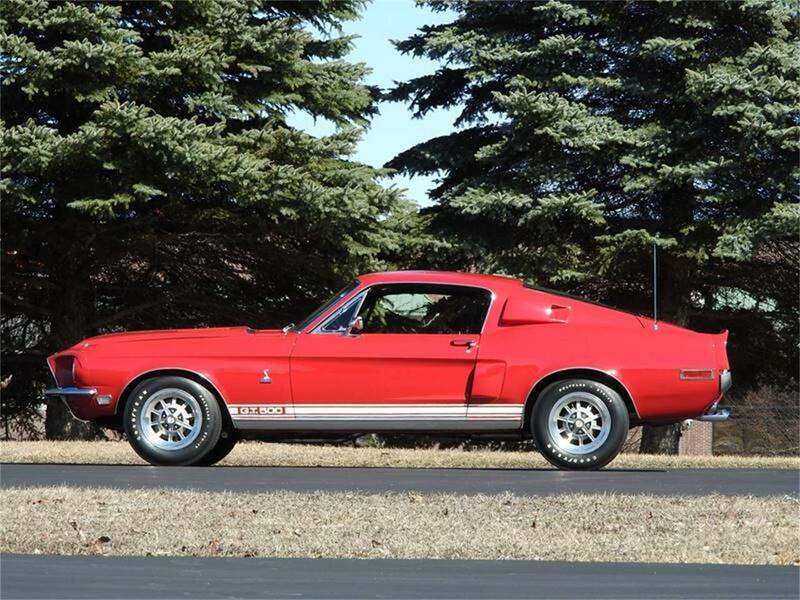 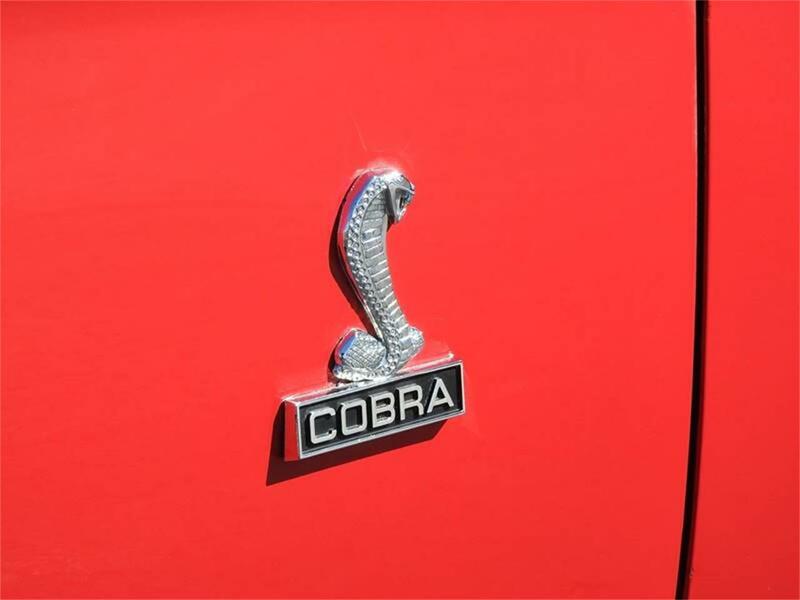 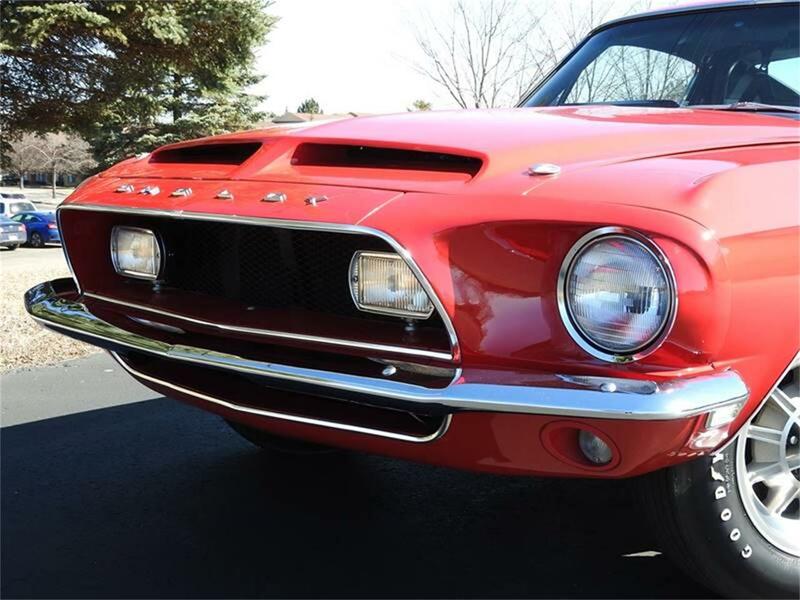 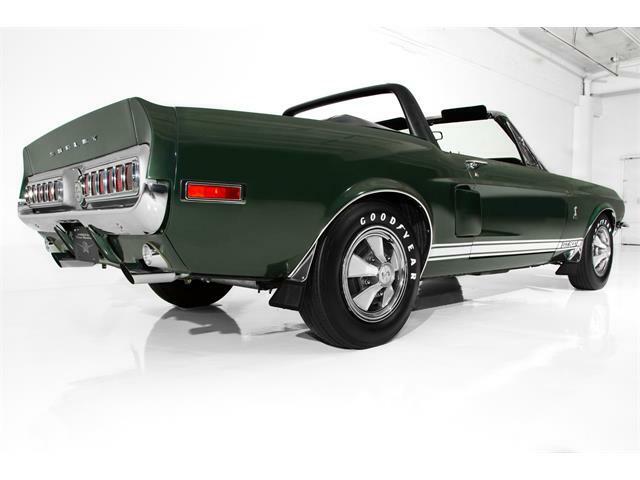 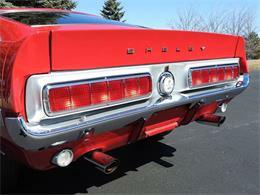 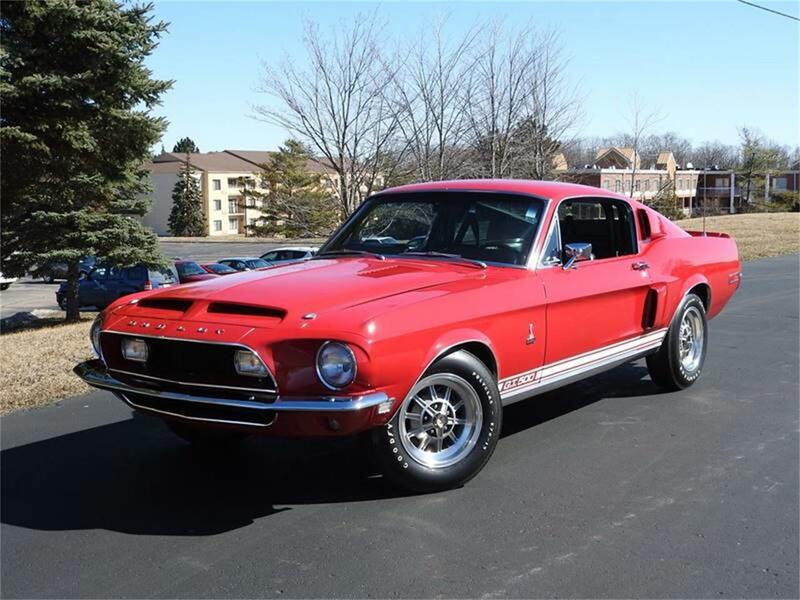 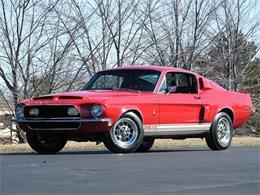 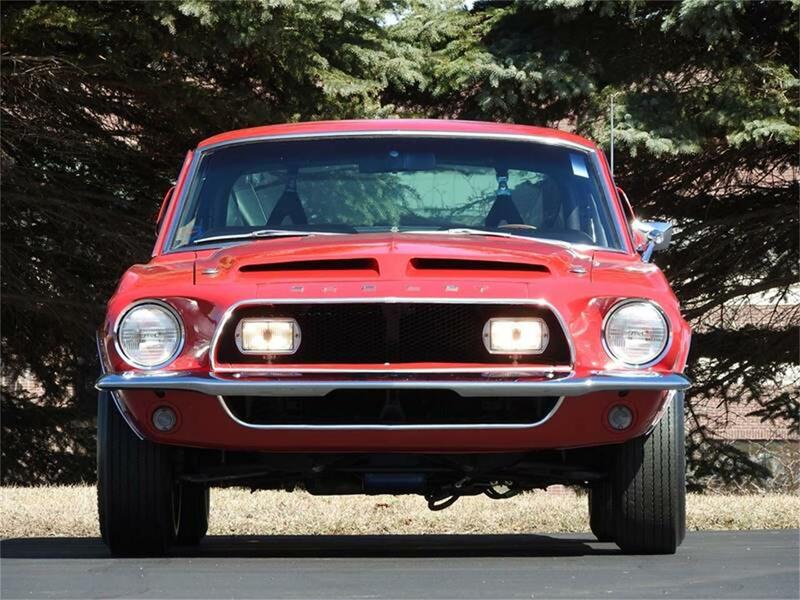 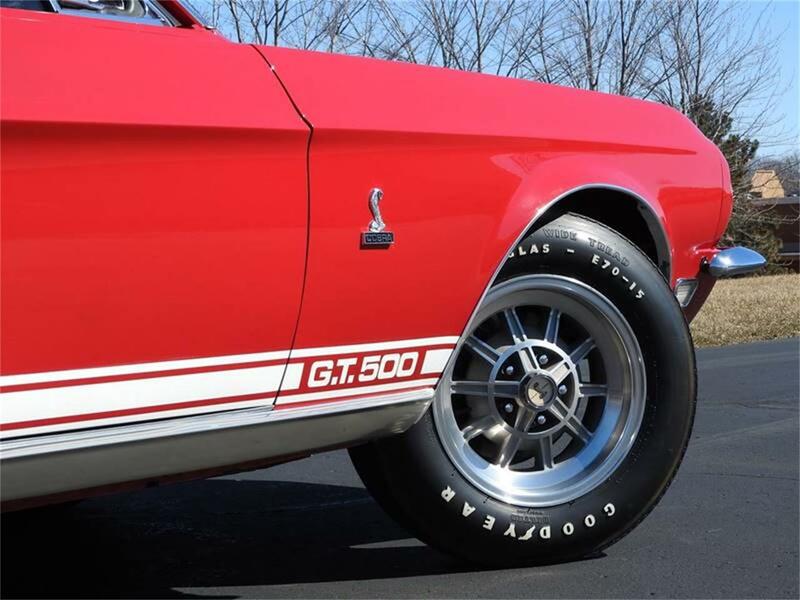 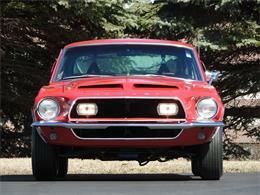 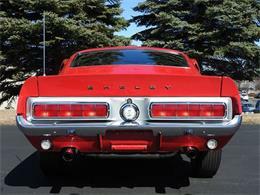 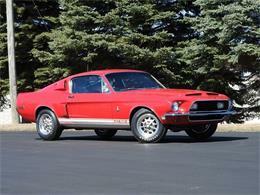 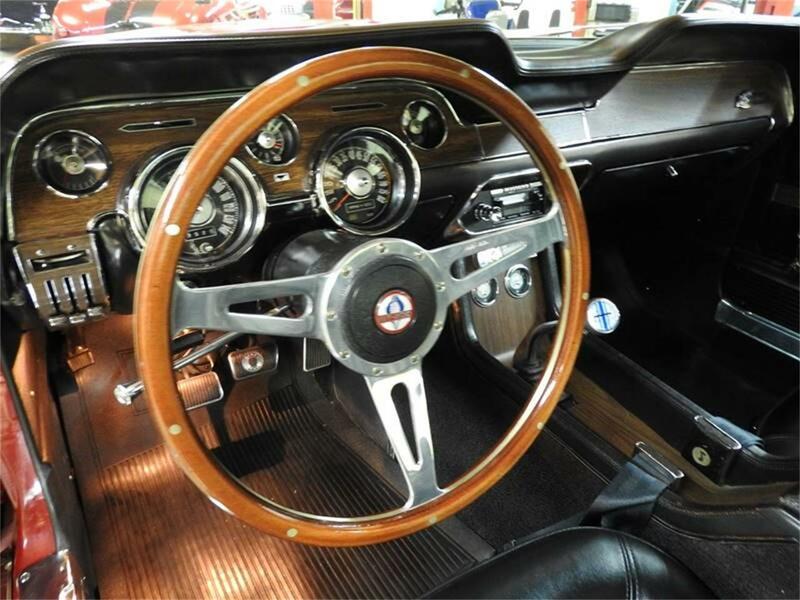 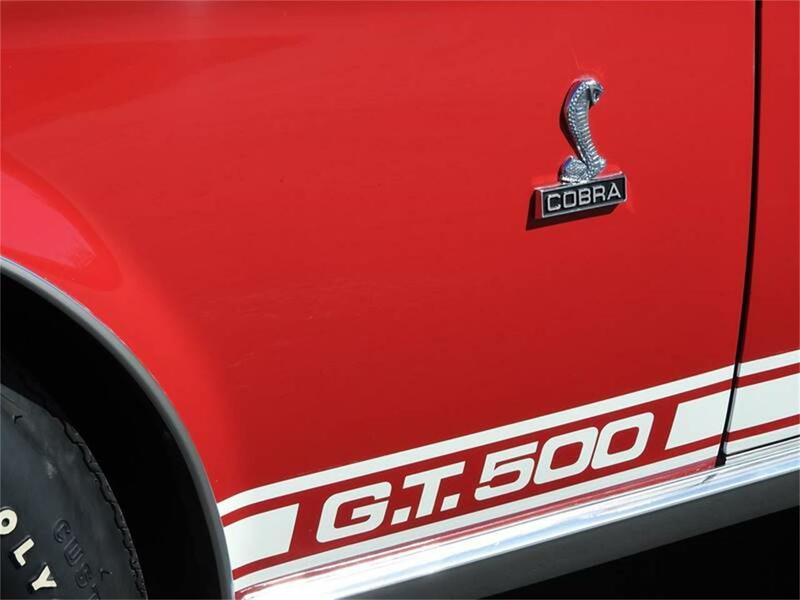 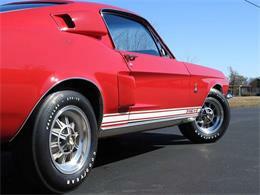 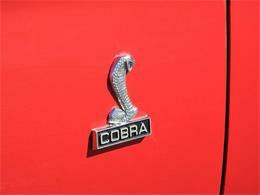 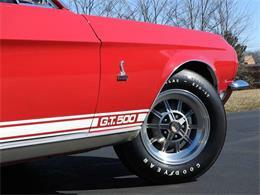 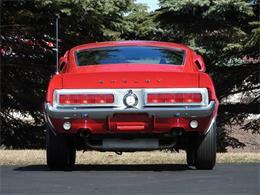 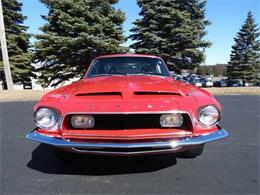 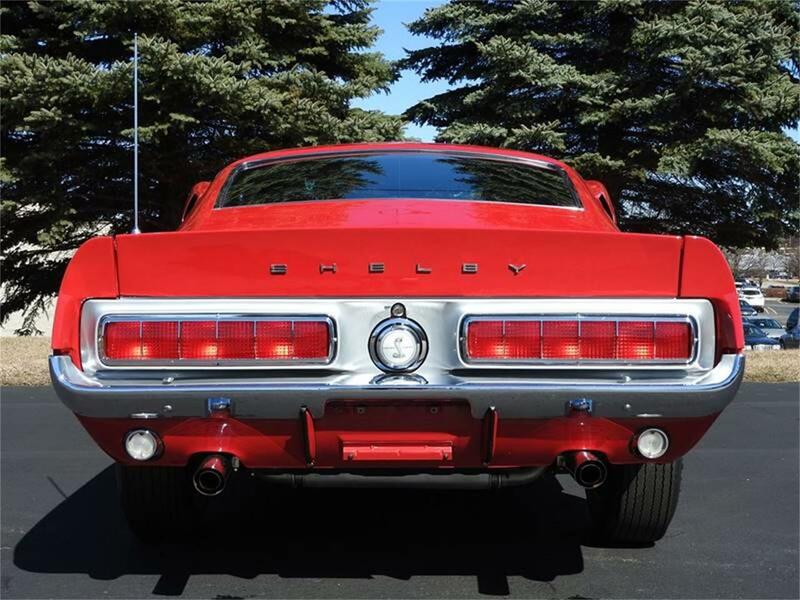 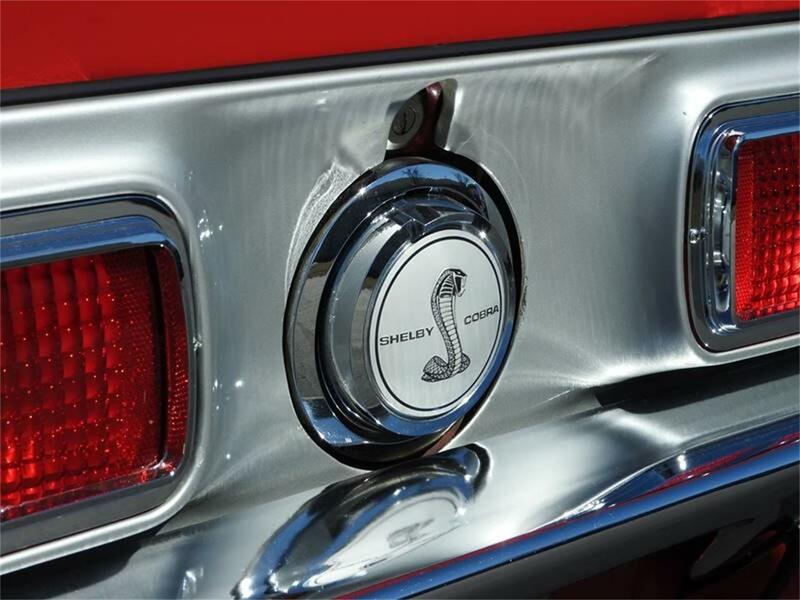 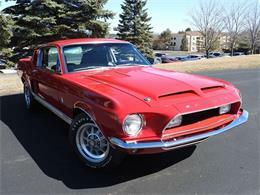 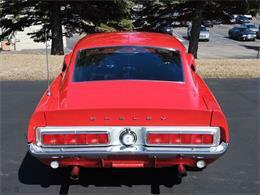 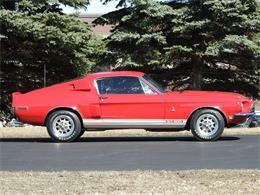 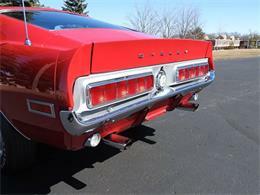 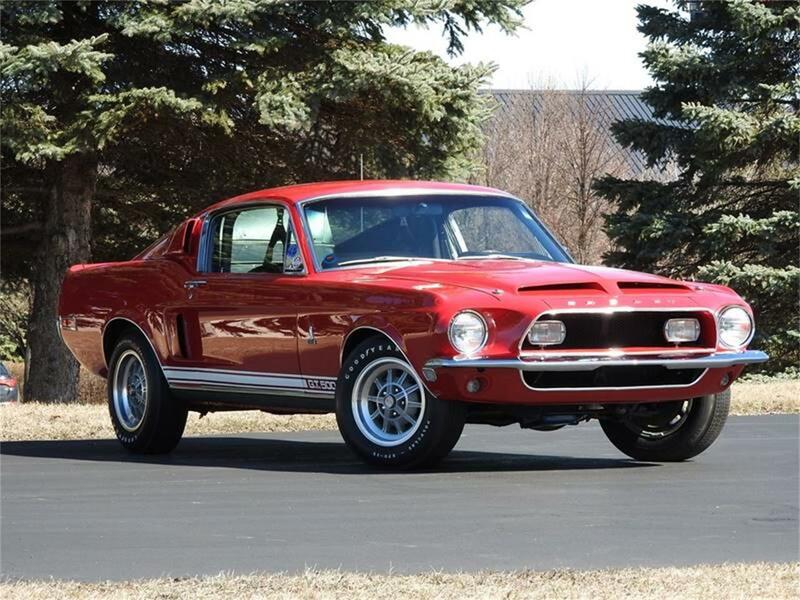 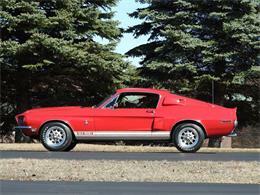 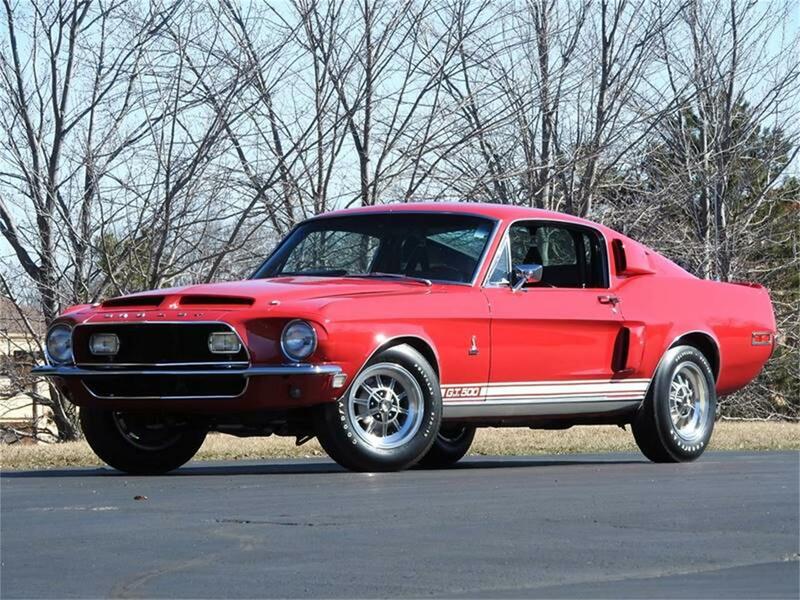 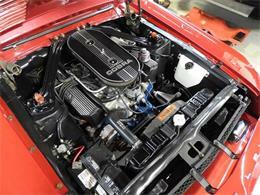 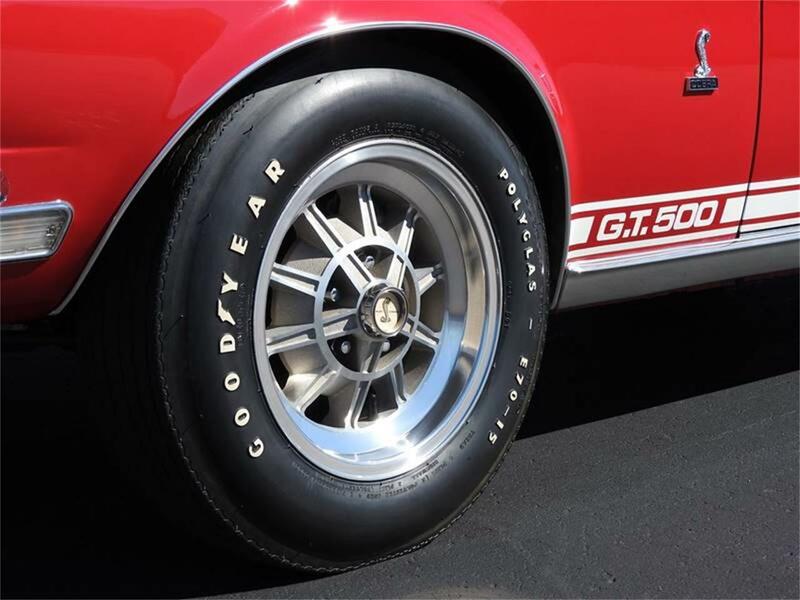 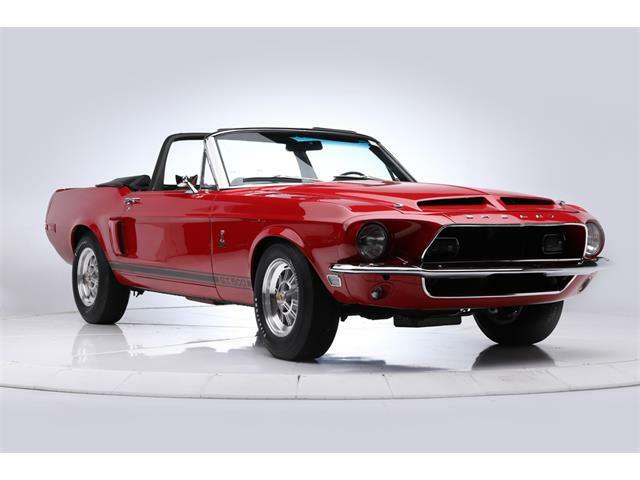 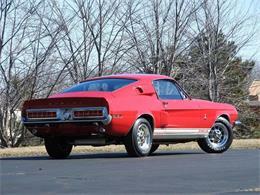 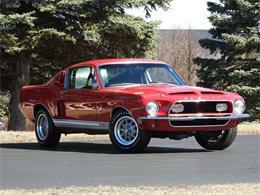 The 1968 GT500 is an iconic Shelby with all of the muscle, horse power and torque you expect. 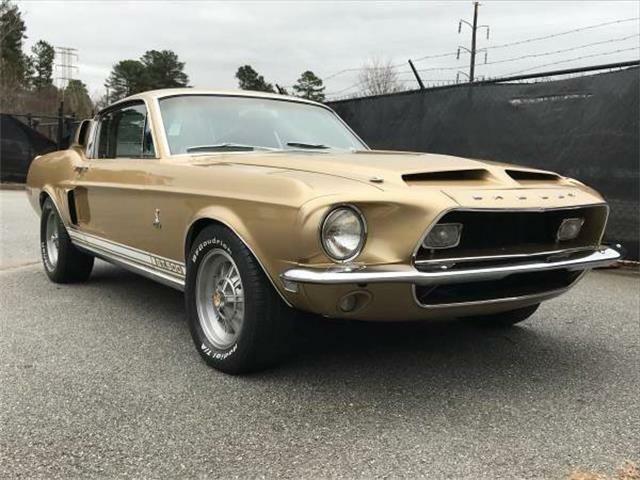 This car is a blast to drive! Its engine sounds amazing revving through the gears and never misses a beat. The suspension is sure footed and tight. 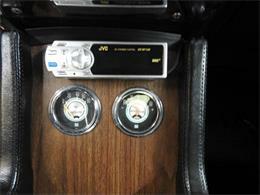 All of the systems are well sorted and properly operational. 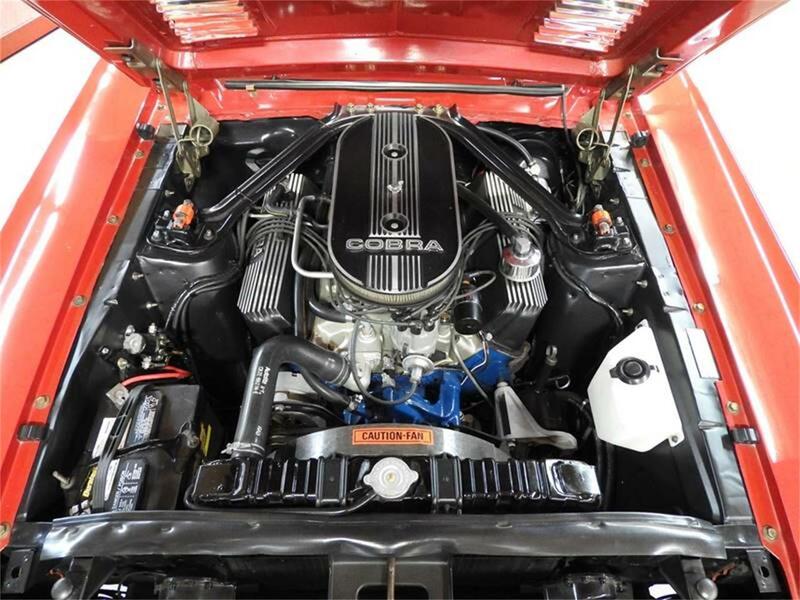 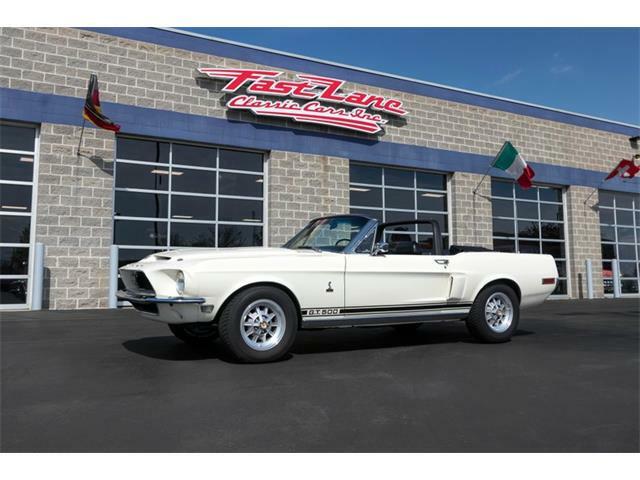 Enjoy the summer in one of the most incredible muscle cars ever produced, this GT500.